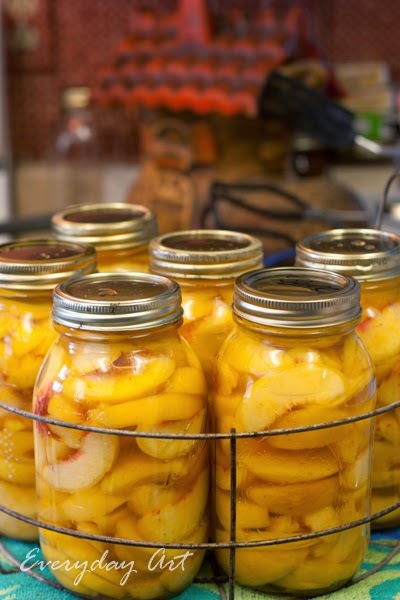 Every year we look forward to peach season, and this year was no exception. 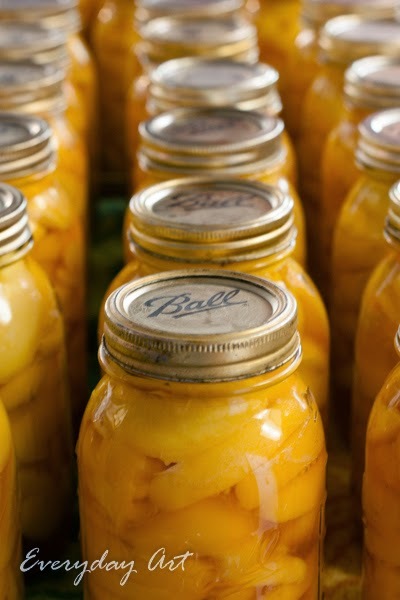 We eat them fresh, put them in pies and breads and main dishes, we jam them and we can them. 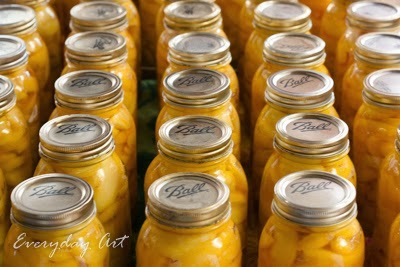 I took some pictures of our canning extravaganza we did with my in laws this year--there were so many peaches! But the old saying of "many hands makes light work" is so true. 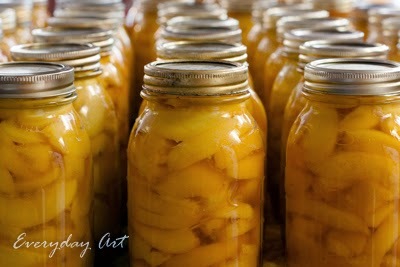 We visited as we peeled, sliced, jarred, and processed and the time flew by. 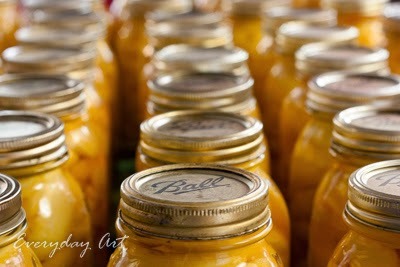 I should have counted--I know we ended up with well over 50 quart-sized jars full of them. 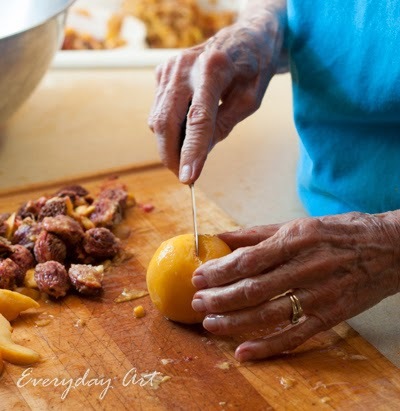 Great Grandma and I were on peach slicing duty--we had the messiest job for sure. We had 4 generations helping us out--Great-Grandma, Grandma and Papa, the moms--Sister-in-Law and Me, plus our kids coming in and out--they were mostly serving as official samplers. All-in-all a delicious, fun day that we will be enjoying the fruits of all winter long. We even finished the day off appropriately with a fresh peach pie! 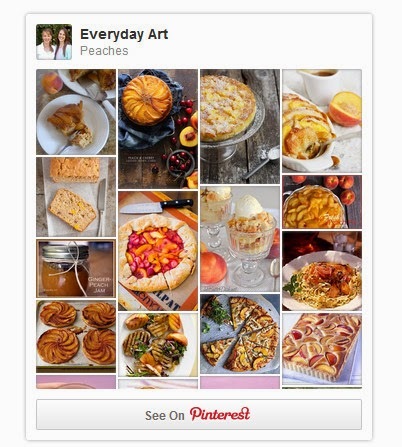 Here's my recipe from our early blog days.